So the other day we were visiting my parents and we got home about 45 minutes before my mother got home for work, and since we had eaten out a lot and she was only going to be home for about an hour, so to the fridge and pantry I went to see what I could round up. 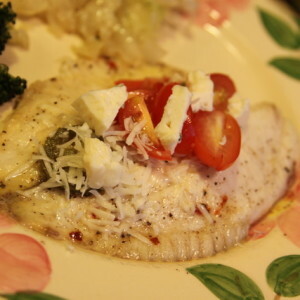 So I threw this together and we WILL be having this on a regular basis it was YUMMY! 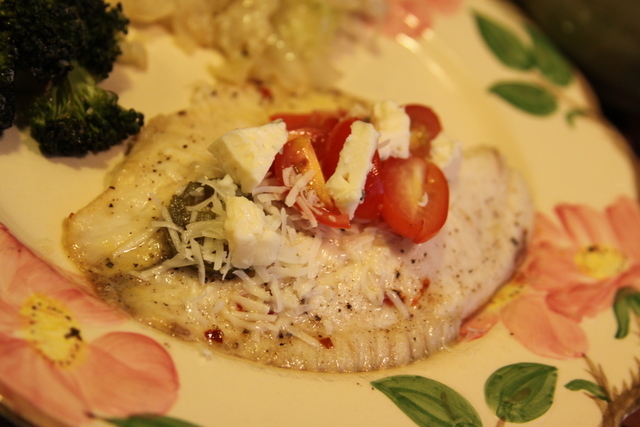 I did put a little olive oil on the baking dish that is not listed above. 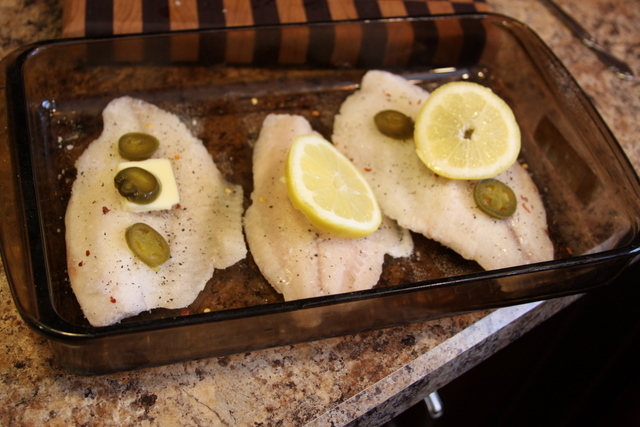 Then add the fish and season generously with salt, pepper, and garlic, and a little red pepper flakes. 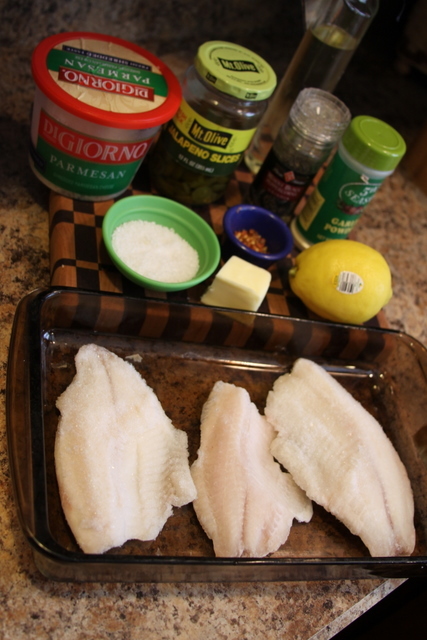 Then put a pad of butter on top of each piece of fish. The add a few Jalapeno slices (Next time I will use a few more peppers) then add a slice of lemon on top. Once out of the oven top with your choice, or a little bit of everything like me. 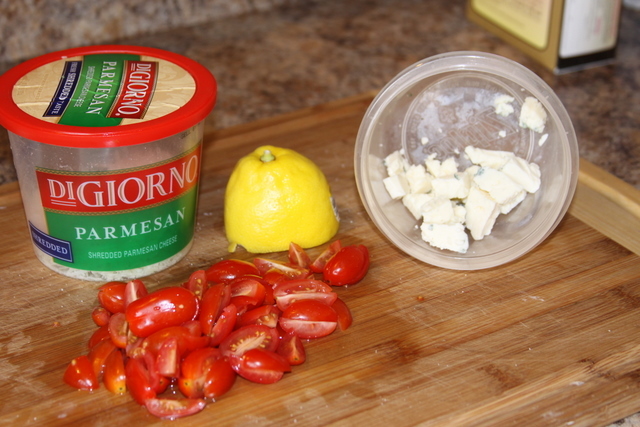 Parmesan cheese, blue cheese, diced tomatoes or more lemon. 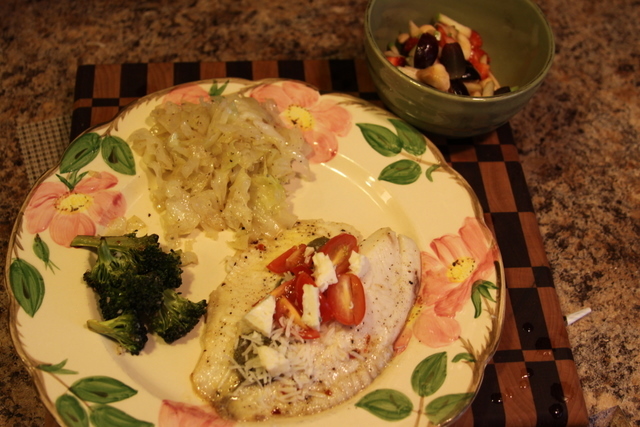 I also roasted some broccoli, and fixed some cabbage, and fruit salad. This took less than 30 min of prep and cooking time. Light, Fast, Easy, and most important really Yummy!! Special thanks to our fellow bloggers we linked up with!